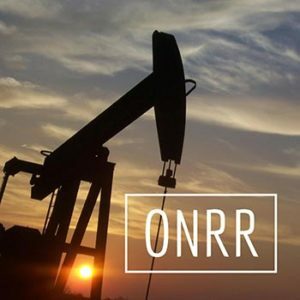 In recent years, the Office of Natural Resources Revenue responsible for collecting royalties of mineral resources from the oil and gas industry, has had a shift of focus by increasing their audit staff and enforcement departments. They are aggressively requiring all companies, regardless of value, to tighten their reporting procedures. There is no materiality on the value or substance of the ONRR audit(s). They are demanding that reporting be corrected and can go back many years depending on the area under audit. Many companies fail to understand that additional monies may or may not be due. However, the ONRR’s emphasis focuses on accurate reporting, NOT the size of the underpayment. It is important to understand the complex regulations and correct the reporting going forward, limiting the exposure to your company in the future. Let our team remove the burden from your company. We utilize our expertise and communication with the US Department of the Interior to efficiently address all types of ONRR audits. In today’s environment, most companies—big and small—do not have time or the desire to deal with auditors unless it is absolutely necessary. We liaison with the ONRR saving your company time, money and frustration. Our established relationship with the ONRR aids in our ability to be the liaison between the government and your company. The ONRR continues to have a positive response to our approach to audits. Our audit process begins with understanding the substance of the request and initializes communication with the auditor. Vital to the process, we research and analyze the historical data. From this analysis, we recommend the corrections, if necessary, to the ONRR and company. Once agreed upon, we make the necessary adjustments and ensure the changes are corrected prospectively as well. We also provide a Full Scope Compliance Review for your company, if requested. This process helps to minimize future ONRR audits and requests from the ONRR. Audits will always be a part of reporting, but let our expertise help your company deal with them.